Your roof suffers a lot from the weather. From the hot sun to high winds, your residential roof may need repairs more often than you think. At the very least, regular inspections by a residential roofing contractor are imperative. The health of your roof is important to the health of your home. Regular inspections are cost-effective because they can prevent further damage. You never want to ignore even minor damages to the roof. Most roofs have asphalt shingles. These are extremely easy to repair! If the damage is mild, a roofing expert can fix your roof for cheap. In some cases, you may need a replacement, but this is typically only when you wait on getting the damage fixed. In some cases, it may be due to the age of the roof, but roofs can last between 15 and 40 years. Many factors age a roof. From the hot sun to downpours, there is a lot that may cause shingles to become brittle or damaged. These damages lead to roof leaks. 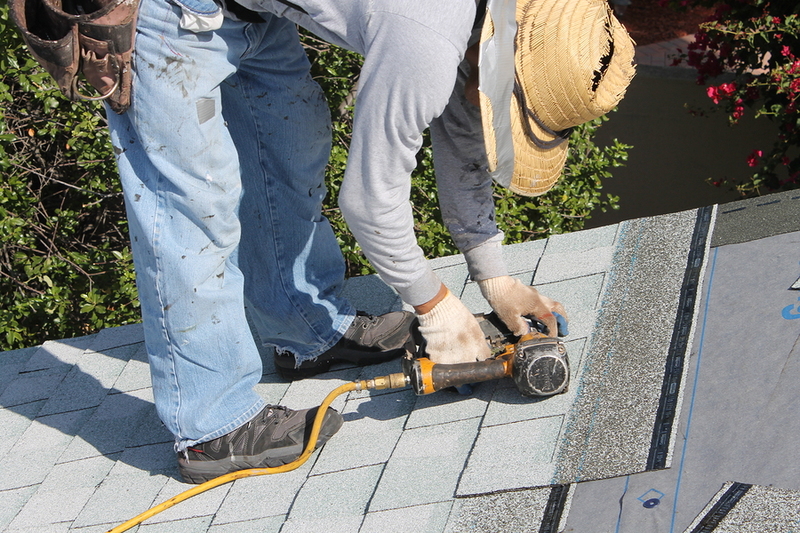 Residential roofing contractors suggest that you have leaks taken care of right away. Not only does water damage grow quickly and become worse with very little time to pass, but the cracks and damages that lead to leaks can only grow if you don’t have it fixed right away. If you don’t prevent and fight against an aging roof, you’ll have to replace it faster. When it comes to your roof, it can undergo a lot of damage. Roofs are extremely durable but they can be susceptible to damage. If you don’t have regular roof inspections, you could be setting yourself up for a costly bill in the future. Minor damages are easy for residential roofing contractors to fix; they cost less to repair and once fixed you can rest easy. If you let those damages slide, however, they’ll grow and become harder and more costly to fix. Don’t let your home become a statistic. Heavy snowfall has caused thousands of roofs to collapse due to the extreme weight. If your area experiences any amount of snow, consider using these strategies to prevent snow buildup from damaging your roof. 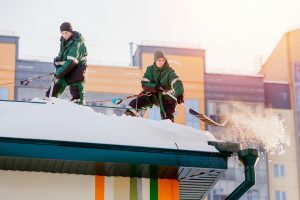 Find out how professional snow removal can keep your roof intact through even the worst winter storms. How Much Can Your Roof Support? It’s important to understand how much snow and ice your roof can safely support. Homes around the country are all built with their climate in mind, so the exact amount can vary dramatically. It’s best to have a local roofing contractor inspect your roof to determine your roof’s weight threshold. Once that’s done, you’ll have a better idea when your roof is reaching dangerous accumulation. Snow weighs less than ice, so ice buildup can be an even greater threat. Roofs that accumulate a lot of ice may be improperly insulated or vented. When this happens, your roof traps warm air from your home. This air heats the snow enough to melt it, which is quickly cooled again to form ice. Roofing contractors can help you determine any hotspots in your roof, and then quickly install vents or additional insulation to prevent ice buildup before it happens. Once snow has already accumulated near dangerous levels, you’ll want a professional to have it removed. Using a snow rake, the snow and ice is pushed off your roof to reduce the weight and risk of collapse. The technique seems simple enough, but is surprisingly dangerous. Large amounts of snow and ice can easily become dislodged at once, leaving individuals on the roof vulnerable to slipping and individuals on the ground at risk of falling piles of ice and snow. The best protection is hiring an expert who has experience removing snow safely. Contact a local roofing contractor today to keep your roof safe and intact. Choosing the perfect siding for your home can feel overwhelming. It’s difficult to balance price, quality and durability while comparing and contrasting each type. If you’re looking for a balanced, yet affordable siding that helps insulate your home, consider choosing insulated vinyl siding. Here are a few great reasons why this material is a popular option. 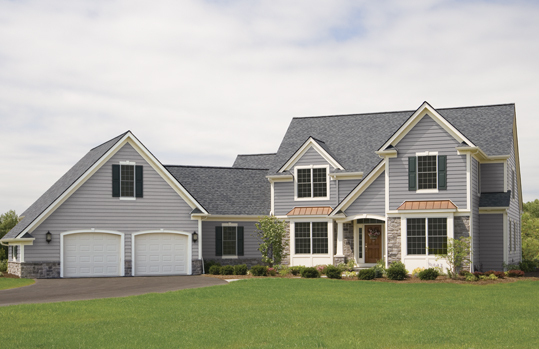 Standard vinyl siding is made from PVC, or polyvinyl chloride. This material is durable, paintable and affordable, which makes it a popular option for homes all around the nation. However, standard vinyl siding doesn’t come with any insulation. This could cause your home to lose energy efficiency through thermal bridging. Thermal bridging occurs when your uninsulated framing and sheathing leak heat to your uninsulated siding. Insulated vinyl siding, on the other hand, has stiff EPS, or polystyrene insulation glued to the back of it. While it may not make a dramatic difference, the additional R-2.7 to R-2 insulation can help you save money on your heating and cooling bills. Another great reason to choose insulated siding is the increased stability. 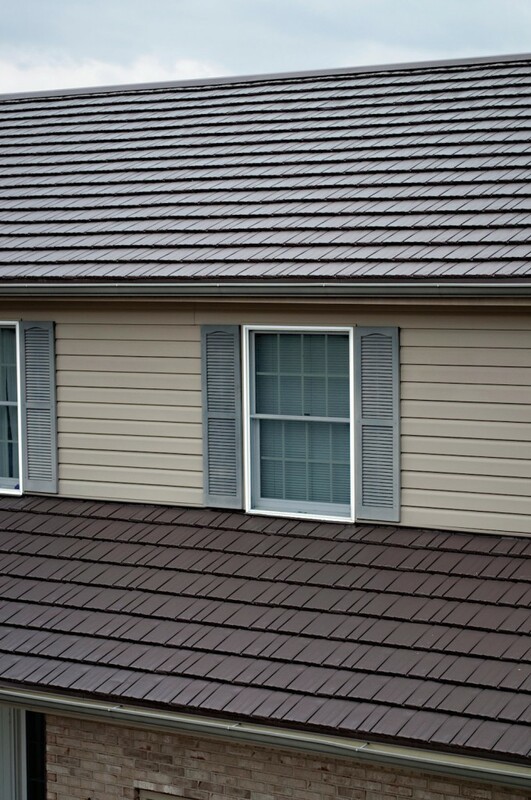 Standard vinyl siding is very flexible and can be bent or rattle on windy days. The additional thickness of insulation keeps your siding firm. With professional installation, insulated vinyl offers a durable, uniform look to your exterior. Of course, this additional stability and insulation does come at a price. This type of vinyl siding is typically more expensive than standard vinyl. Ask for price estimates from a local contractor to determine the exact amount of additional cost that’s involved when choosing this siding. Of course, there are many other types of siding that offer their own pros and cons. If you’re ready to replace your siding or looking to build a new building, contact a local contractor to determine the best siding for your area. You’ll be able to receive estimates on insulated vinyl siding, and discuss your options with a professional who understands the unique local weather patterns. Thinking of getting a new roof for the home, but not sure which material to go with because there are lots of options? Metal roofing is something that was once considered a roofing material for commercial properties simply because it was quite plain and simple. It wasn’t as aesthetically pleasing as some of the other material on the market, which is one of the reasons homeowners often selected those other options. However, many changes have been made over the past several years, and the metal roof materials are now a lot more stylish than ever before. Metal roofing may seem like an unusual choice for a homeowner, since typically it’s most often used for commercial buildings. Perhaps surprisingly, however, metal roofs are becoming increasingly attractive options for homeowners because of the many benefits they provide. There are several advantages to a metal roof that you can’t find with other more traditional coverings such as asphalt or cedar shingles. Your home’s exterior siding’s main job is to insulate the whole home from the outside in. The combination of insulation and siding protects your home from the effects of the changing elements outside. 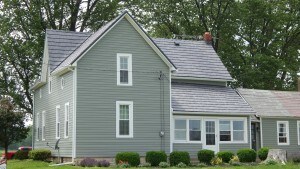 Insulated siding strengthens the foundation of the home while protecting the interior. When it comes to roofing materials, you have many options, including slate, tile, clay and asphalt. One of the best options, however, is metal. 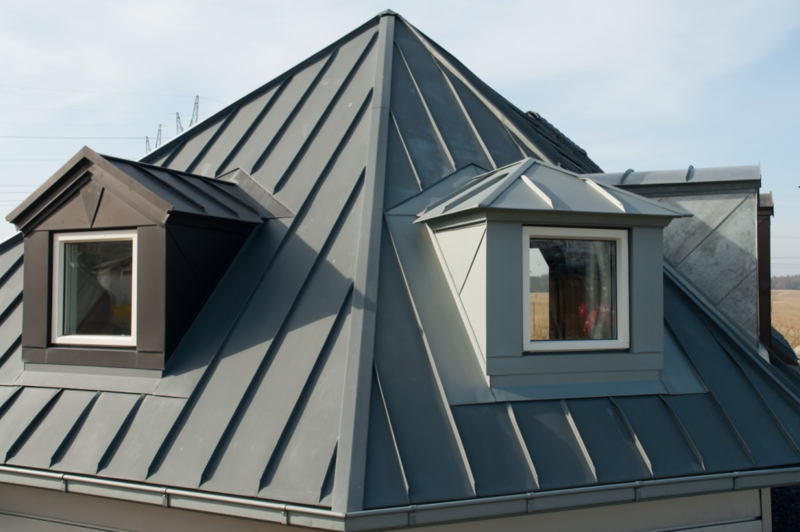 Metal roofing comes with many benefits, including its light weight, easy installation and fire resistance. If you’re torn between the different roofing options, however, consider the top four reasons that most homeowners ultimately go with metal. 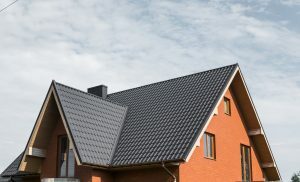 The average roof lasts for ten to twenty years, which is not bad, but if you want to invest in a new roof that won’t have to be replaced again in your lifetime, go with metal. Because metal is water and heat resistant, it can last anywhere between 40 and 70 years. Though it is a little more expensive than other roofing materials, it’s durability and longevity make it a worthwhile investment. In addition to being cost-friendly in the long term, metal roofs are also energy efficient. Metal roofing reflects the sun’s rays and prevents heat transfer, whereas typical asphalt roofs soak up the sun’s heat. If you want to reduce your carbon footprint and save on your future energy bills, consider having a metal roof installed. Most roofing materials hold onto snow, and asphalt shingles soak up moisture when it rains. This makes your roof heavier, and shortens its lifespan considerably. A metal roof, on the other hand, sheds that weight easily. Because metal is a naturally slippery surface, any snow, rain or debris will slide right off, ensuring that your roof isn’t unnecessarily weighed down. Some roofing materials, such as clay and tile, require additional structural support to be added to the home because they’re so heavy. However, because metal is so lightweight, it can be applied directly over an existing roof without adding too much weight to your home’s structure. If you need to replace your roof soon, consider replacing it with metal. Metal roofing comes with many benefits, but it’s durability, energy efficiency, slippery surface and light weight are the top four. The odds are that you chose your metal roof in the first place because it promises low maintenance and a durability like no other. However, that doesn’t mean that owning metal roofing is an entirely hands-off process. In fact, there are a few steps you’ll want to take throughout the coming months or years to ensure that your roof remains as durable and efficient as possible, and to make being a homeowner an easier process for you overall.